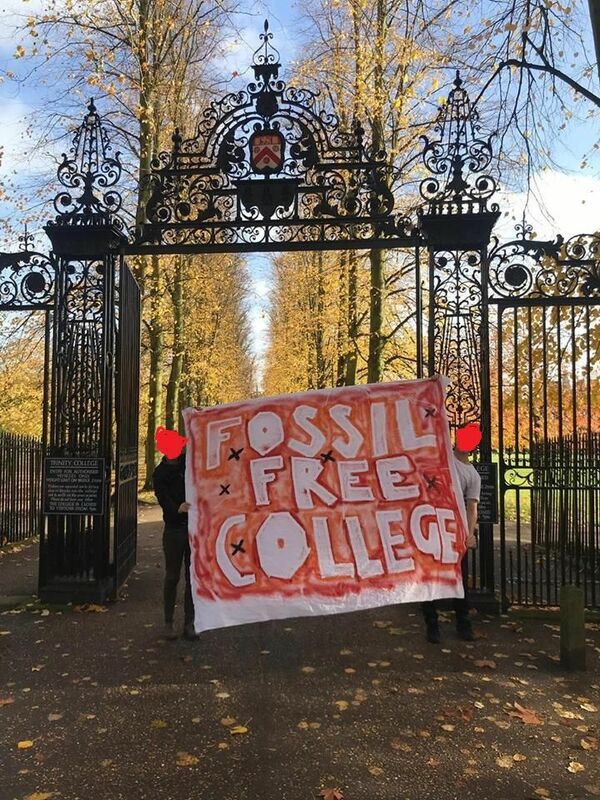 This morning in a coordinated student action against Cambridge Colleges's investments in the fossil fuels and arms industries. 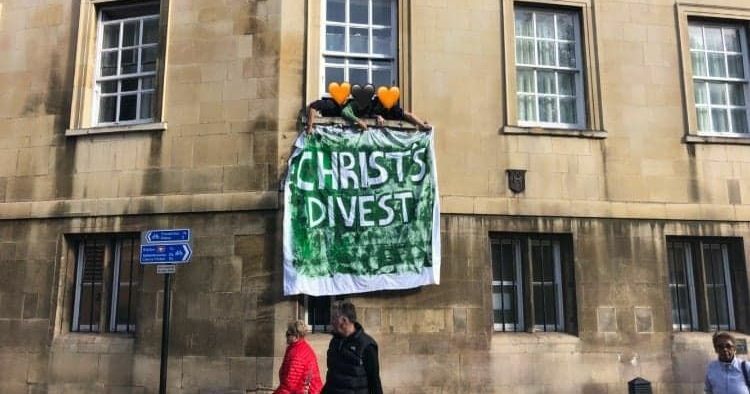 The Tab has learnt that campaigners have unfurled divest and disarm banners in such iconic locations as Christ's Great Gate and King's Front Court. 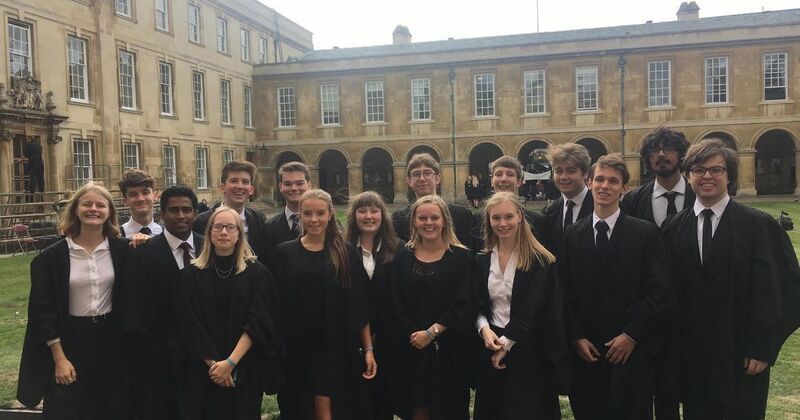 Zero Carbon has told the Tab that this action is being undertaken on a college by college basis but on a University scale with the intention of putting pressure on both the Central University and Individual College's to divest. Coordinated with the autumn leaves! 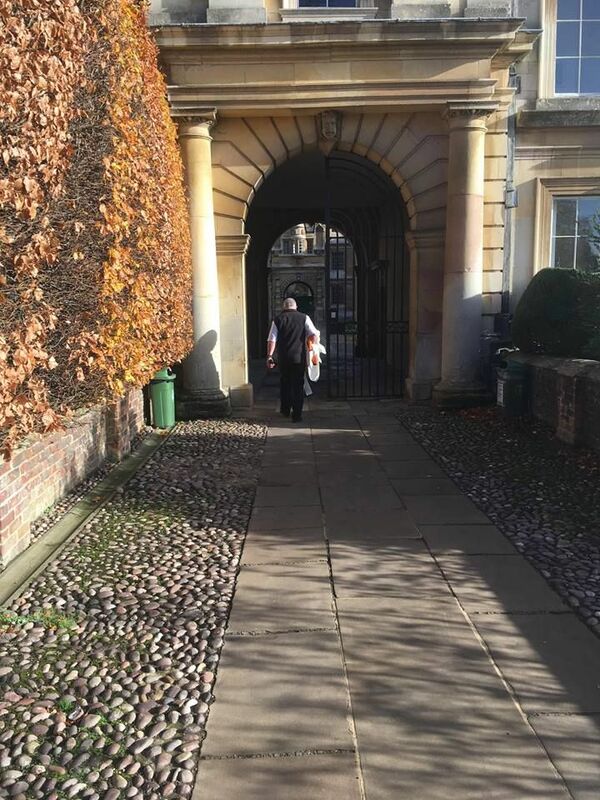 12:15 BREAKING: Clare's banner has been removed by porters barely 5 minutes after it was put up. It's worth noting Clare isn't presently open to tourists, so this could be slightly more than just removing an unsightly nuisance. 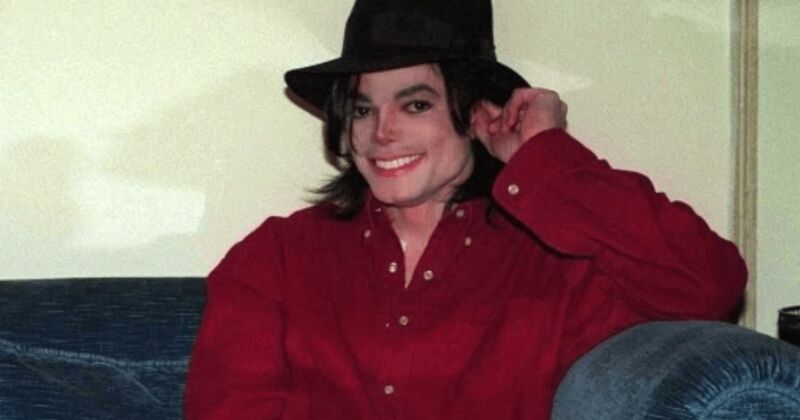 12:29 Most colleges have been bannered! 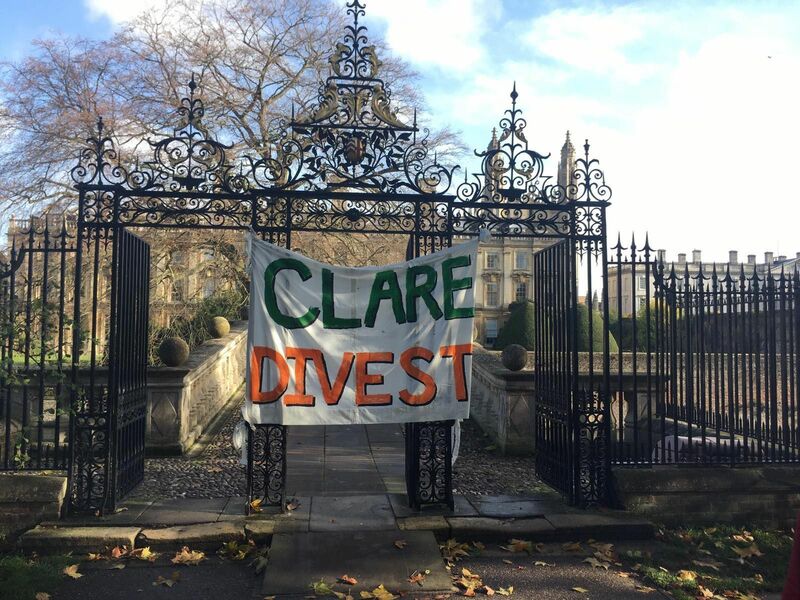 As today is a Saturday this action has already attracted attention from tourists- Clare's Divestment team were seen explaining the campaign to visitors on the bridge. 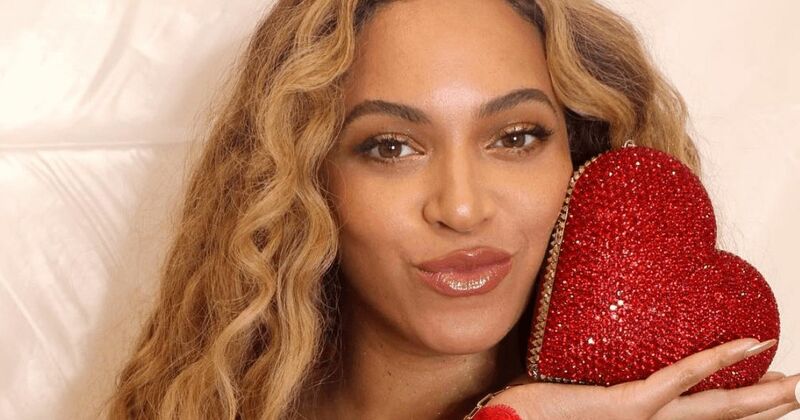 Red, the blood of angry students? 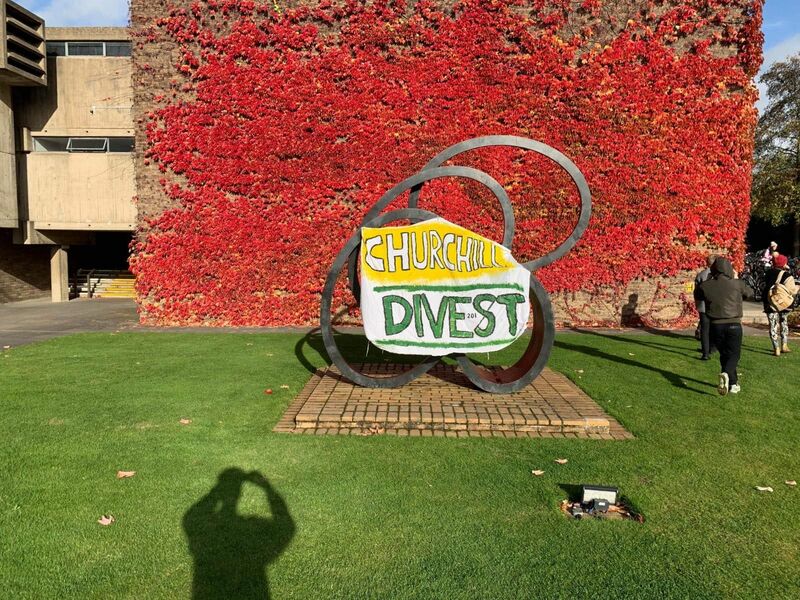 12:52: A statement has been released from Zero Carbon in response to banners being removed. 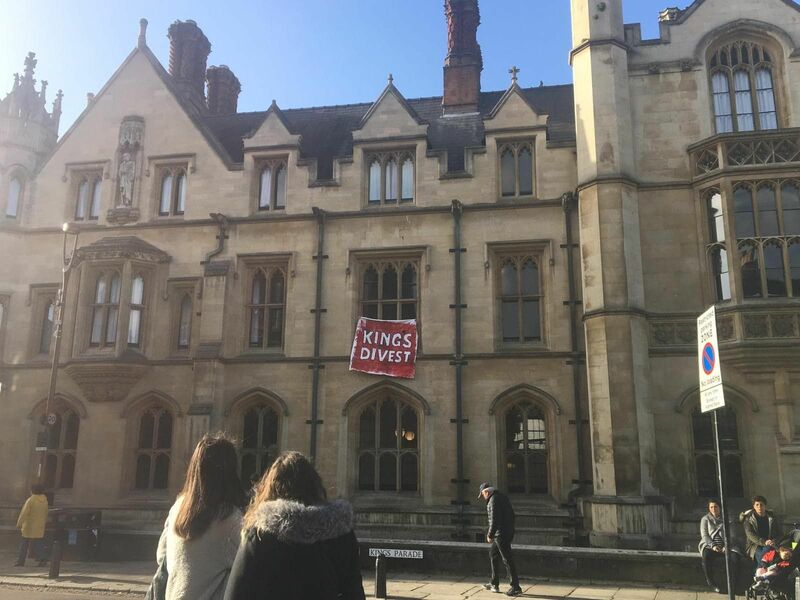 "The banner being removed at Clare is the least of our concerns, as we've shown today our college campaigns are growing fast. 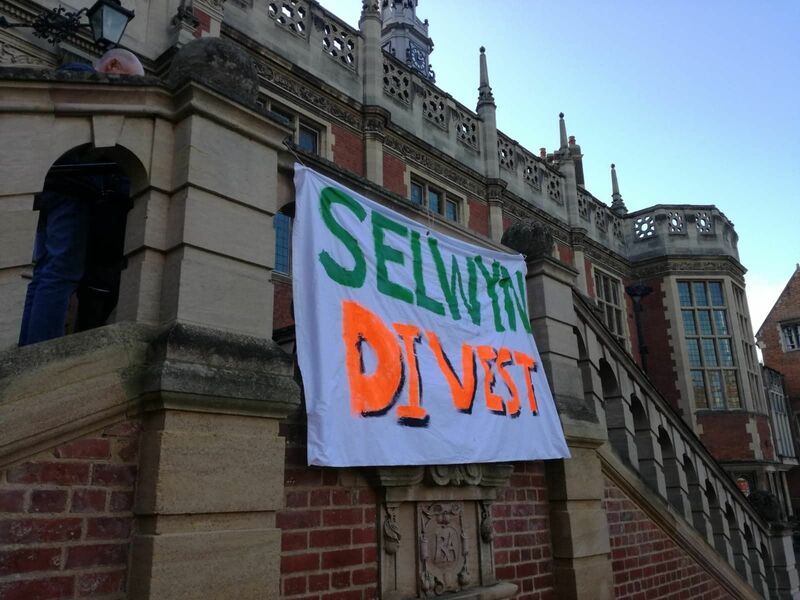 We will win key divestment victories across colleges and build overwhelming pressure on the university to divest." 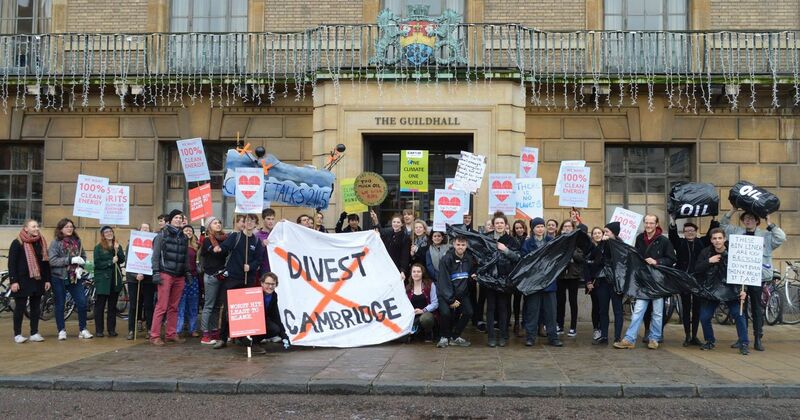 It's unclear as of yet how much influence this action will have, but by bannering the iconic "faces" of Cambridge, Zero Carbon are making a strong statement about the colleges' roles in defacing the beauty of our planet and the lives of those affected.